I’m currently working at a place DOOR! that has a policy of DOOR! 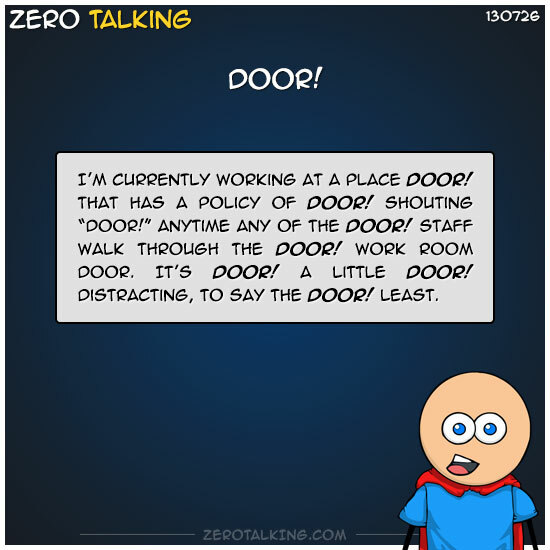 shouting “DOOR!” anytime any of the DOOR! staff walk through the DOOR! work room door. It’s DOOR! a little DOOR! distracting, to say the DOOR! least.